Delivers luminosity to the skin, becoming brighter. 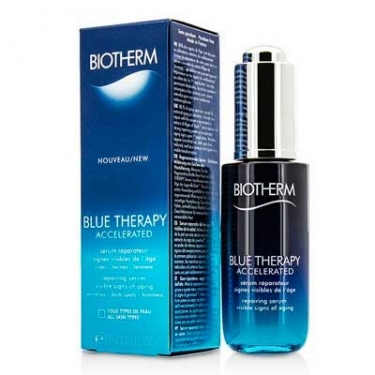 Blue Therapy Accelerated - Serum from Biotherm is a serum that has a fast-acting formula to instantly soften and beautify the skin. With Algae of Youth concentrate, the three most visible signs of aging (wrinkles, dark spots and loss of firmness) dramatically improve over time. The more you use this product, the better the results. The skin becomes smoother and firm instantly after application. After four weeks, fine lines, dark spots and wrinkles are significantly reduced. Apply two drops on face, neck and neckline area after cleansing. Avoid eye area. 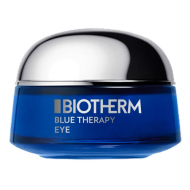 Proceed with Blue Therapy Cream Accelerated.